This fall, Kathy and I returned with a limited amount of time, so we decided to spend one day checking out the Golden Trout Wilderness west of Lone Pine and the next morning photographing the annual aspen display near Conway Summit. The motel clerk in Lone Pine directed us to Lubken Canyon Road, a scenic one-lane path through miles of green meadows and awe-inspiring rock formations, leading to Horseshoe Meadows Road and our eventual first-day destination. Lubken Canyon Road turned out to be everything the motel clerk said it would be. We hadn’t driven a mile when Kathy and I began oohing and aahing at vast meadows of green grass, willows, and cottonwoods, adorned with massive rock outcroppings. 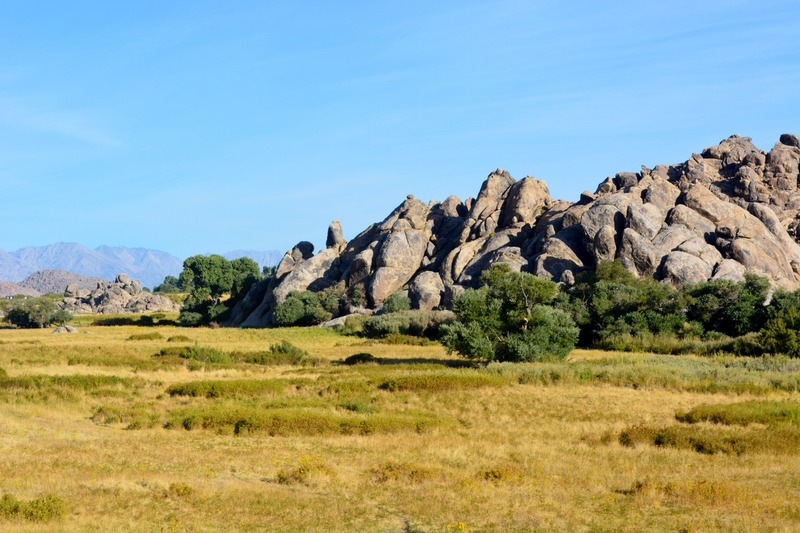 Looming in the background were the famous Alabama Hills, where 150 movies and at least a dozen TV shows had been filmed over the decades. “If I didn’t know better, I’d swear it was April, instead of the end of September,” I said to Kathy, as we approached a farm field blanketed with wild sunflowers. 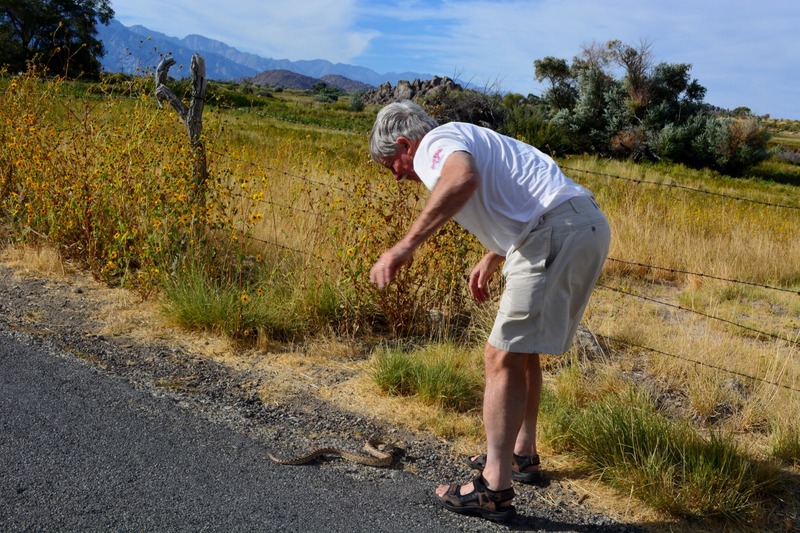 I stopped to take a few photographs and noticed a three-foot gopher snake sunning itself on the warm asphalt ahead. Fearing that the unsuspecting reptile would be flattened by a passing car, I nudged it toward some high grass at the side of the road. They say no good deed goes unpunished; before slithering into the weeds, my scaly new friend showed his gratitude by wheeling around and hissing at me. 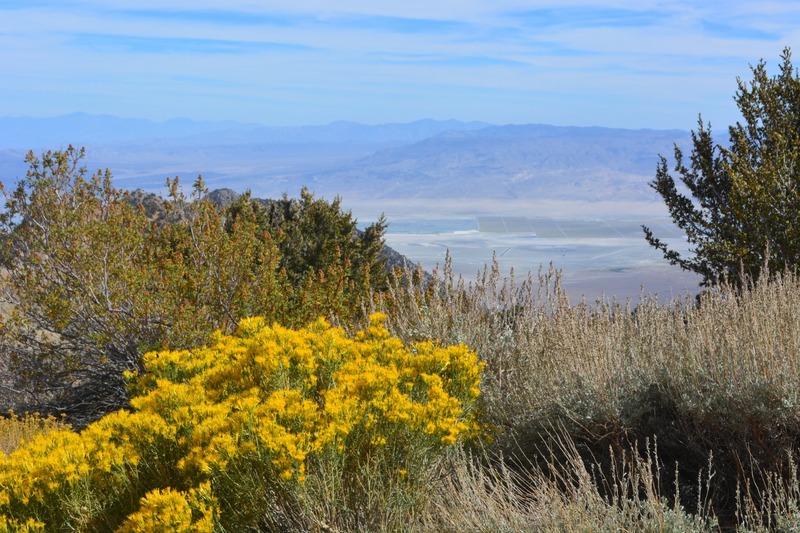 The steep switchback road to Horseshoe Meadow offered spectacular views of Owens Valley. As we climbed higher and higher, eventually rising to 10,000 feet, I commented that we hadn’t seen a single car on the way up and maybe we would have the whole mountain to ourselves. Boy, was I wrong! The parking lot at Horseshoe Meadow was full, and a dozen excited backpackers, many of them speaking foreign languages, were readying their gear for the ascent into the Golden Trout Wilderness. Since Kathy and I had gotten a late start, our plan was to hike the trail to the first lake we encountered, take a few photographs, and return to the trailhead before dark. After trudging up the trail for two hours, we met a couple headed in the opposite direction. “How much farther to the first lake?” I asked. “You can probably make it in two hours,” said the gentleman and his wife, both equipped with backpacks and sleeping bags. Seeing that it was already three o’clock and we were equipped with nothing but a camera and two containers of water, Kathy and I decided to head back to the car and come prepared to spend a night or two the next time. Along the way, we stopped to rest on the banks of a gorgeous little stream called South Fork Cottonwood Creek. Sitting quietly and listening to the gentle babble of water tumbling over the rocks, we spotted several fingerling trout darting in and out of the shadows. Could these be some of the legendary golden trout that the wilderness area was named for? After spending the night in Bishop, Kathy and I drove north on Highway 395 before dawn, in hopes of capturing the trees at Conway Summit in the early morning sunlight. 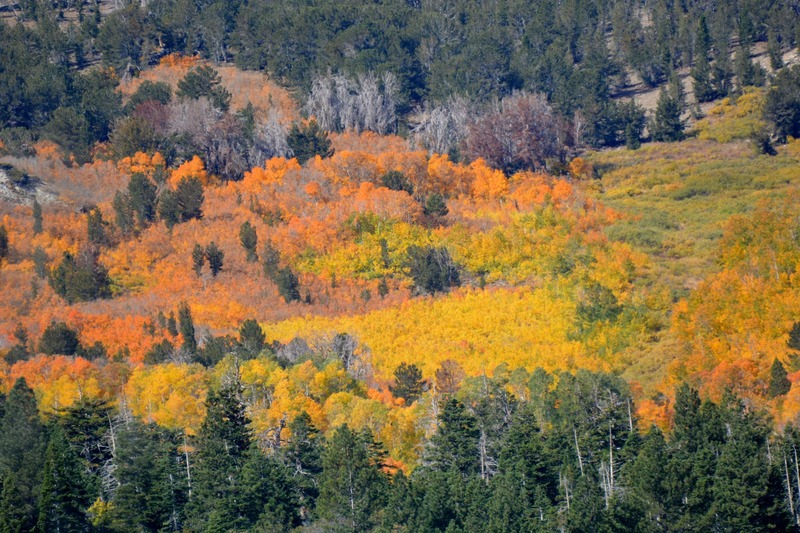 Much to our delight, grove after grove of quaking aspens were decked out in their most brilliant fall colors. The scene reminded me of an artist’s color wheel—pale green, yellow, gold, orange, and several shades of red. 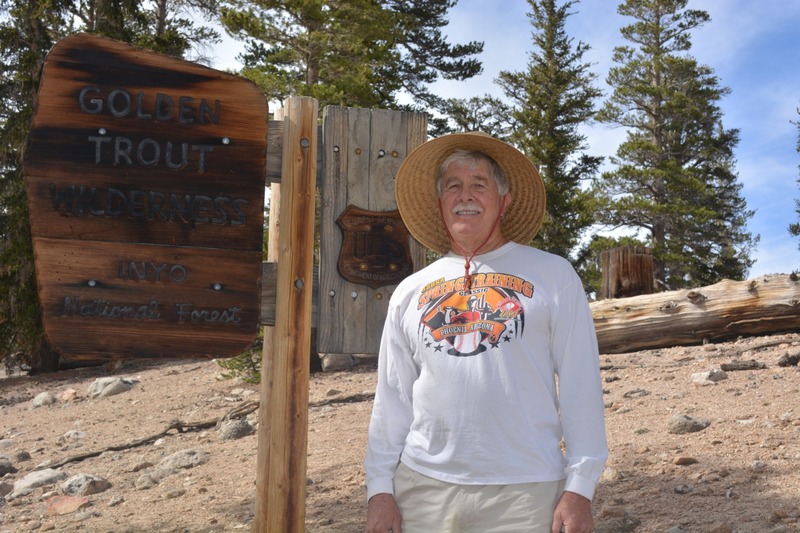 The opening of trout season in the Eastern Sierra remains popular, but as some of the veteran game wardens will tell you, it doesn’t draw the crowds it did back in the sixties and seventies. The Eastern Sierra economy must increasingly rely on other activities to help fill motels and sustain local businesses throughout the year: skiing and snow sports, hunting, hiking, mountain climbing, backpacking, cycling, and nature photography. Shutterbugs have been photographing the Eastern Sierra since Brownie cameras were popular, but the so-called leaf peepers have taken this activity to the next level. 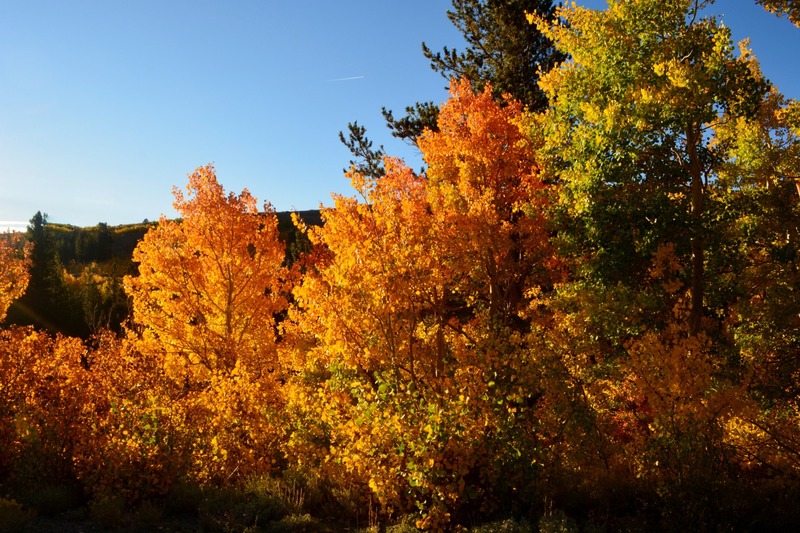 Admirers of quaking aspens flock to the Eastern Sierra by the thousands for a few weeks every fall, in hopes of witnessing one of nature’s most spectacular events in all its glory. Populus tremuloides has been referred to as the canary in the coal mine when it comes to analyzing the effects of climate change (increasing hot, dry weather) on our Western forests. Saving this moisture-dependent species, and so many others, may require significant cuts to greenhouse-gas emissions. I’d like to think it’s worth it. Shortly after sunrise, we reveled in this incredible view of quaking aspens from Conway Summit. Photo by author. 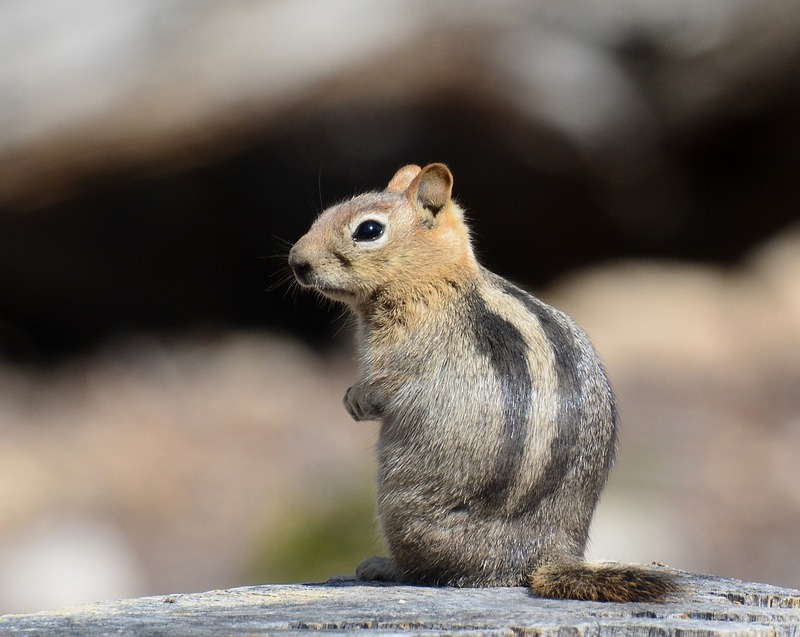 Other than humans, this golden-mantled ground squirrel was the only mammal we saw at 10,000 feet. Photo by author. 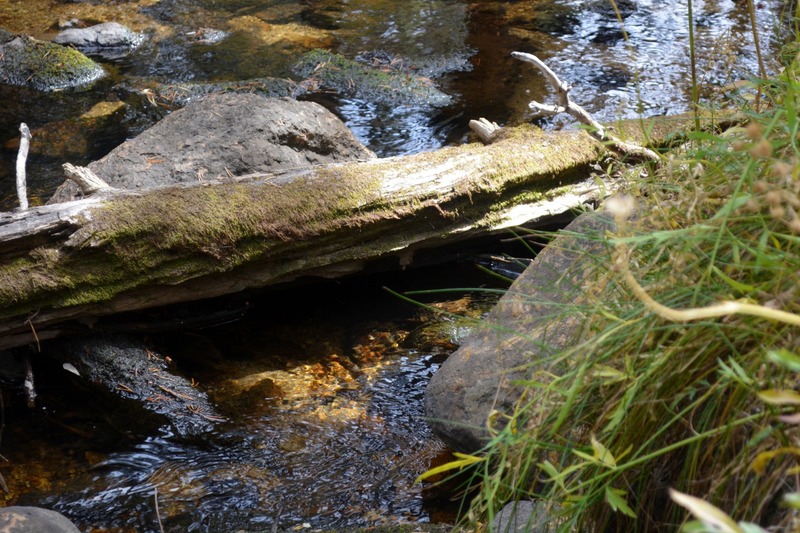 Sitting quietly and listening to the gentle babble of water tumbling over rocks, we spotted several fingerling trout. Could they be goldens? Photo by author. The view of the Owens Valley from Horseshoe Meadows Road. Photo by author. Saving this moisture-dependent species for future generations to enjoy may depend on our making dramatic cuts to greenhouse-gas emissions. Isn’t it worth it? Photo by author. This is the thanks I get for saving your life? Photo by Kathy Callan. The view from Lubken Canyon Road. Notice the famous Alabama Hills in the background. Photo by author. Gateway to the Cottonwood Lakes and Golden Trout Wilderness. Photo by Kathy Callan. 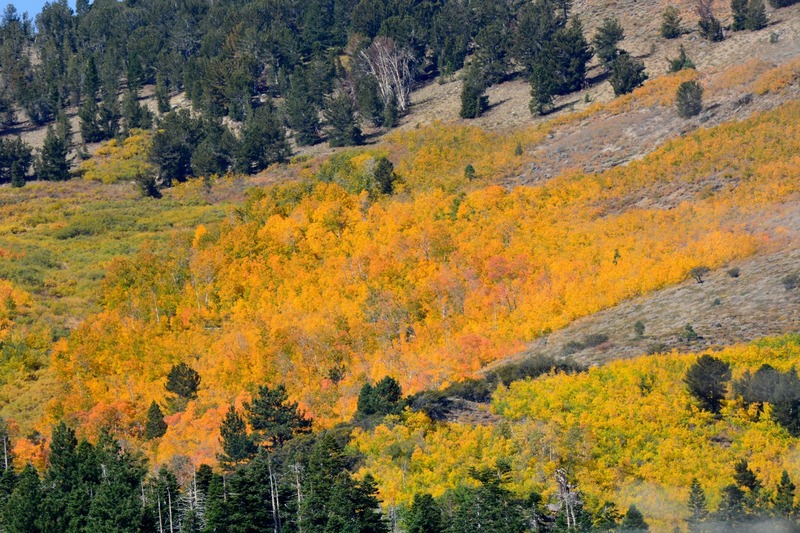 I captured this close-up view of quaking aspens from Virginia Lakes Road, west of Conway Summit. Photo by author. 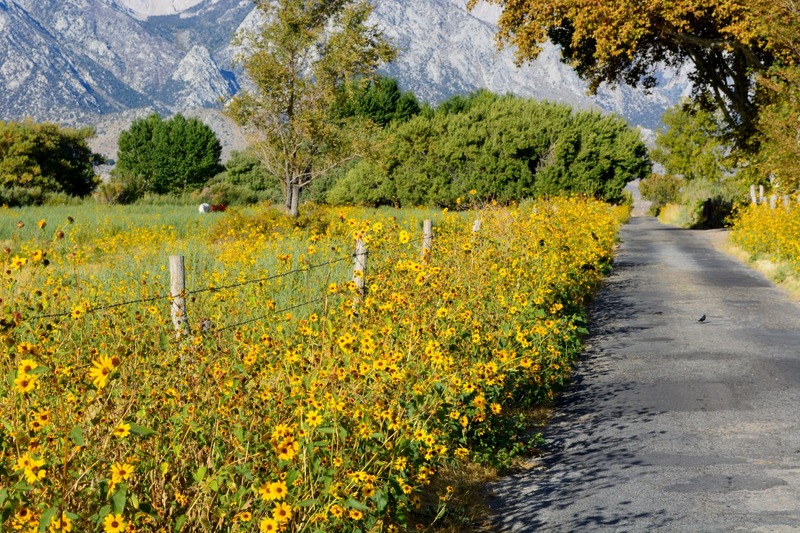 The blooming wild sunflowers that decorated Lubken Canyon Road made me think it was April, rather than late September. Photo by author.